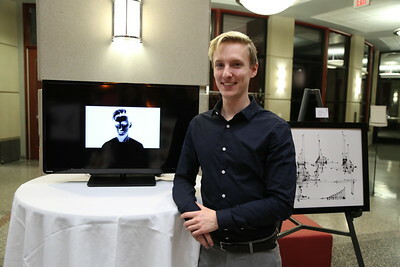 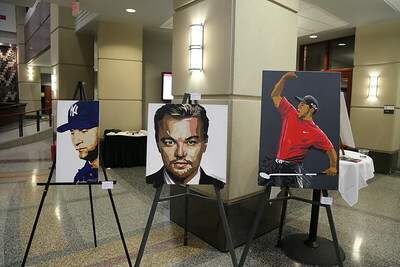 An exhibition of the creative talents of the UW-Madison Business School students in the 3rd Annual ART of the Wisconsin BBA Exhibition. 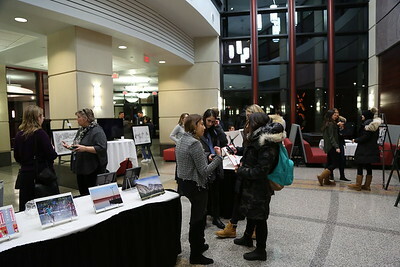 This event was free and open to the public and included appetizers and refreshments. 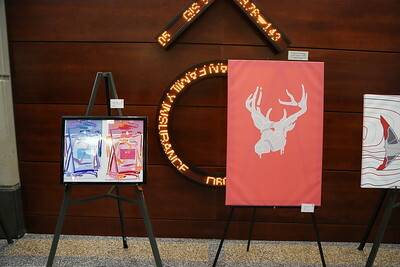 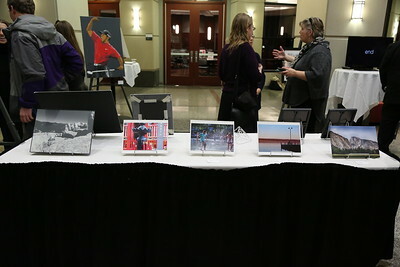 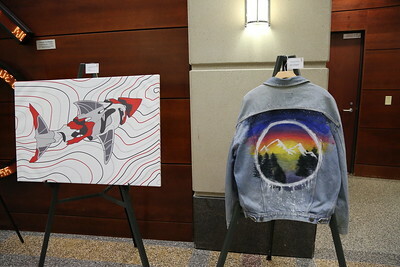 This exhibition was co-hosted by the UW Arts Institute, and included an opportunity to learn about the Arts Business Competition in the Plenary Room at 7pm. 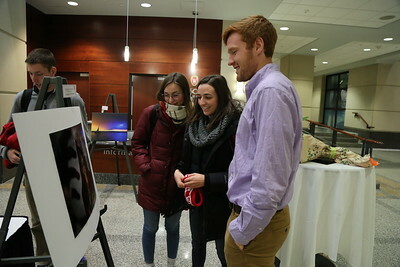 Guests enjoying the 3rd Annual ART of the Wisconsin BBA Exhibition. 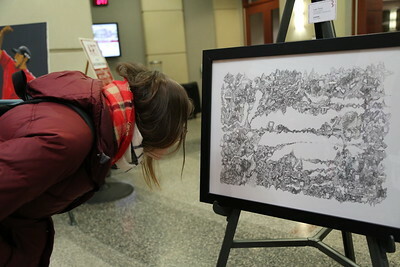 Guest enjoying the 3rd Annual ART of the Wisconsin BBA Exhibition. 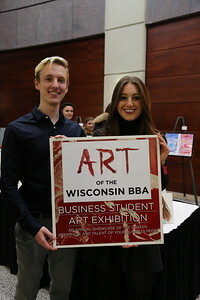 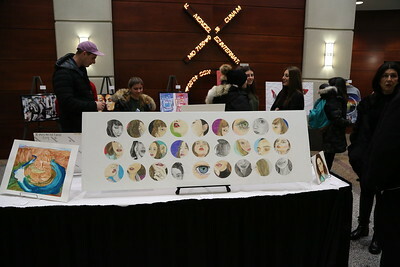 Guests at the 3rd Annual ART of the Wisconsin BBA Exhibition. 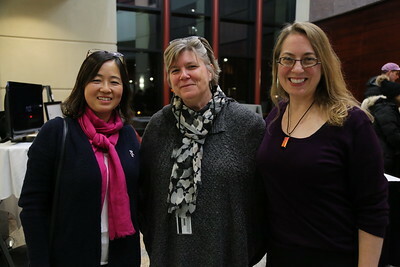 (From Left to Right) Xiujuan Zhang, Bolz Center for Arts Administration Director Sherry Wagner-Henry, and Heather Owens. 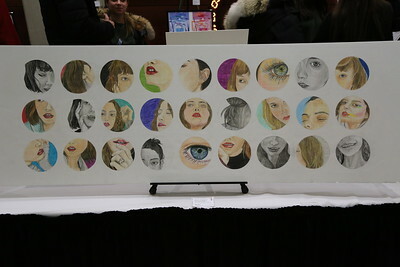 "Strangers" by Nurul Adreena Burhanuddin. 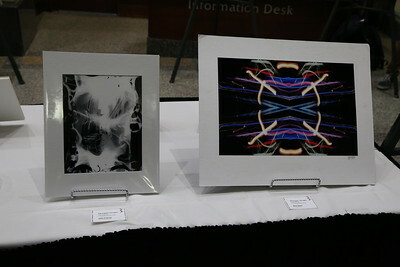 Exhibition organizers and artists Lee Troz and Casey Haas. 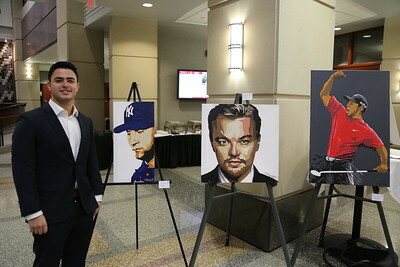 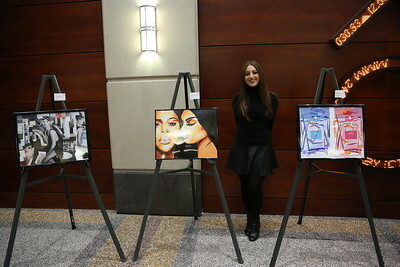 Lee Troz with his artwork (Left to right) "Olive Juice", "Untitled". 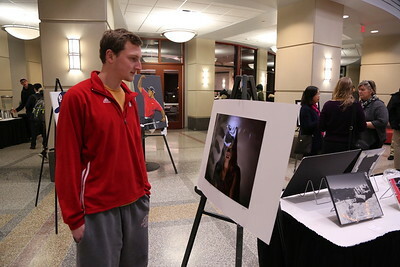 Guest enjoying the 3rd Annual ART of the Wisconsin BBA Exhibition. 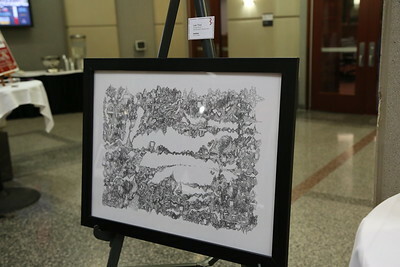 Work pictured: "Untitled" by Lee Troz. 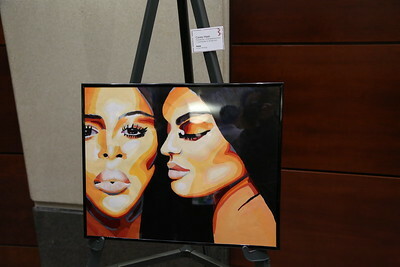 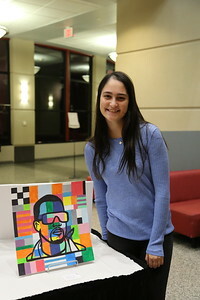 Isabelle Gold with her work, "The Life of Pablo". 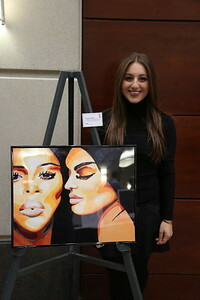 Casey Haas with her work, "Fame". 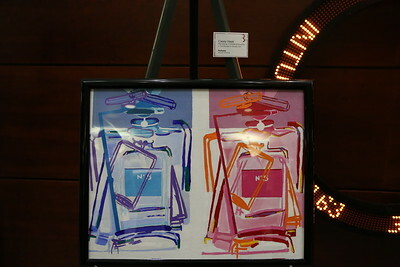 Casey Haas with her artwork, "Kate Moss", "Fame", "Perfume".